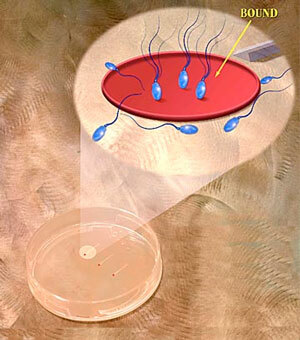 PICSI Sperm Selection Device offers many advantages while selecting sperm for the ICSI (Intra Cytoplasmic Sperm Injection) technique of in vitro fertilization. 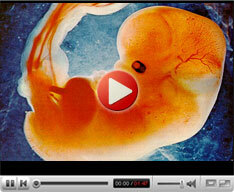 In the ICSI procedure, a healthy, motile sperm is selected and injected into an oocyte. The PICSI Sperm Selection Device is a sterilized, plastic culture dish that is helps with the selection of healthy sperms. The dish consists of three microdots of hyaluronan hydrogel that is placed at the bottom. Hyaluronan is a naturally occurring biopolymer found in human cells. Mature human sperms attach themselves to the hyaluronan through specific receptors that is present on the plasma membrane of the sperm. Hyaluronan-bound sperm do not exhibit any progressive movement, although they are capable of motility. Hence they are selected and removed from the dish by means of a micropipette for use in intracytoplasmic sperm injection (ICSI). Hyaluronan-bound PICSI-selected sperm in majority of cases, exhibit considerably less DNA damage, are more mature and have lesser chromosomal aneuploidies. The PICSI dish is based on the theory that mature and morphologically sound sperm will alone bind to the hyaluronan.